Operating from the friendly capital city of Namibia, Windhoek-based Kay Real Estate, opened their doors in November 2016 with years of experience in the real estate industry. With the launch of their agency, the need for a reliable website arose and backed Entegral’s Flex responsive website solution, they now have a powerful online marketing tool available to them. 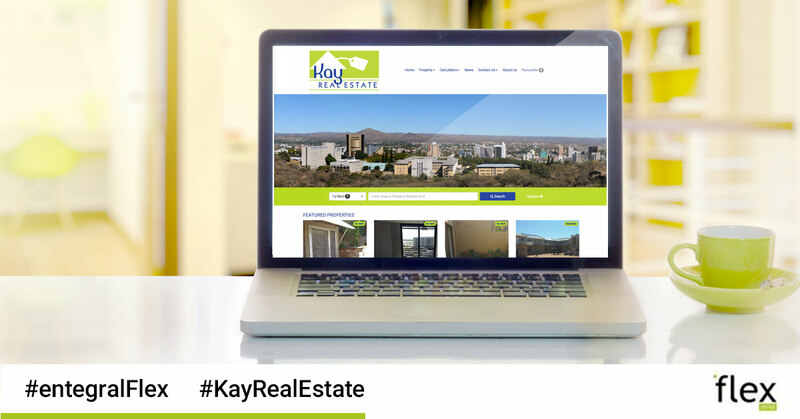 With the launch of their new website, Kay Real Estate, now has a website that adapts itself to any screen size it is viewed from. This means that there is no longer a need for a separate mobile website. Not only is this cost-effective but also helps with Search Engine Optimisation (SEO) and according to the latest from Google, responsive websites will count in your favour when websites are ranked in search results. The new Kay Real Estate website is based on our Elegant theme, opting to add an integrated map search. Kay Real Estate also makes use of our Office Management System (OMS) which means that they can not only maintain their own website’s stock but also ensure their latest listings are sent to our property partner network from one easily managed dashboard. Whether you are part of a franchise or an independent agency, we have the solution for you! Visit our website www.entegral.net today to find out more about our products and contact us for a quote on your Flex website!